HONG KONG -- Spectacular flower patterns of fireworks roared above Victoria Harbor, followed by patterns of green "8" and yellow golden ingots, sending traditional blessings to locals. 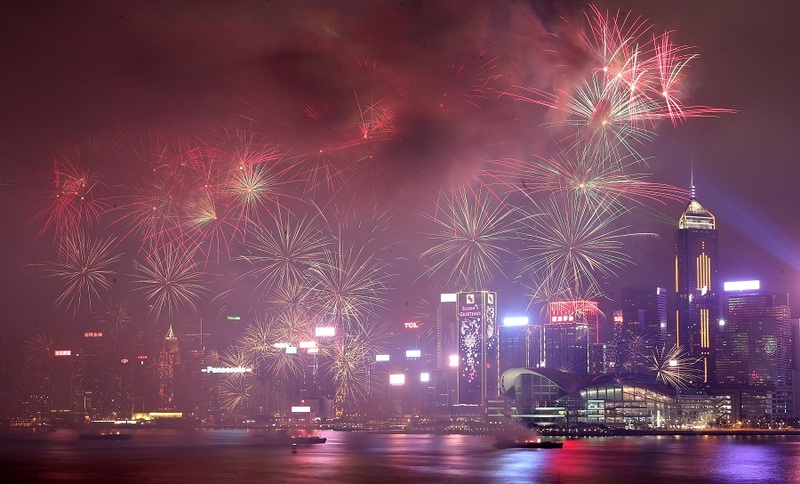 It was the opening scene of the fireworks show in China's Hong Kong Special Administrative Region. The show started at 8:00 p.m. local time Wednesday, the second day of the first month of the Chinese lunar calendar. "The scene symbolizes that we should set our goals for the new year and work hard towards goals with faith. Eventually, we will achieve the targets," said Wilson Mao, CEO of a multi-media production company which designed the firework show. Another scene echoed the approaching Valentine's day. It displayed miscellaneous shades of strobes and waterfall-like movements to create heart-thumping effects and send blessings of everlasting love bond. Sharing his wishes for the lunar new year, Lo said he hoped "Hong Kong continues to prosper, and people have good jobs and stay healthy."